I and a few others at my present church have decided to work through C.S. Lewis' Mere Christianity. Highly regarded within the Christian community for decades now, the book attempts to put forth a logical argument for orthodox Christianity. 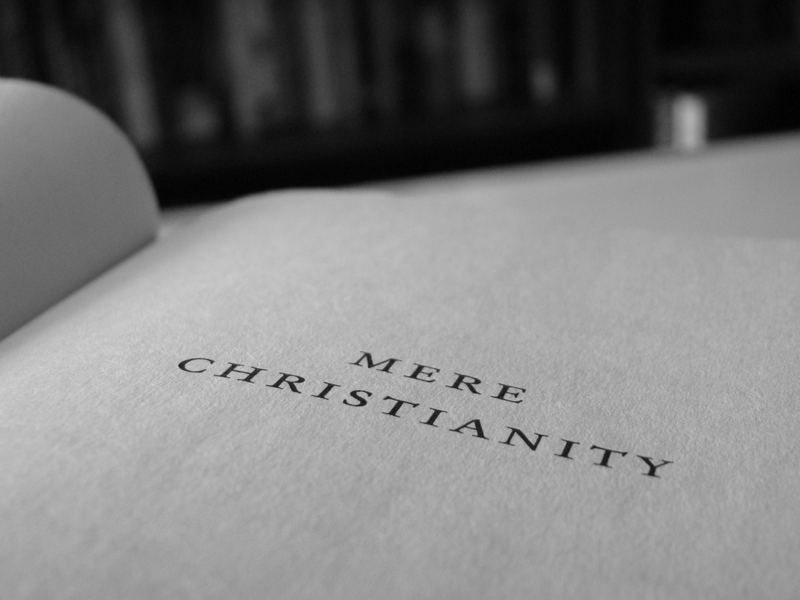 I have read Mere Christianity before, but that was back in the days when I was orthodox. I am quite excited to read Lewis' arguments for orthodoxy now that I do not already subscribe to the views he is pitching. So, instead of rummaging through Lewis for quotes that will support my already held beliefs I am entering this study in hopes of having a conversation. I expect to push Lewis on many points ranging from his assumptions to his logic to his word choice and I expect those in my group to do the same to me, to Lewis and to me. The in-person conversations about this book will be great, no doubt, but I also wanted to invite you to be a part of this study. The book is split into four "books" and we will take a week to cover each book (at least - we may split books three and four into 2 weeks each). The IRL discussion will start this Sunday, but the discussion on here will likely begin sooner. Please let me know if you'll be joining us in this book study and feel free to send me questions/comments from your reading.